HIV in Kinshasa: "We, the patients, had to find solutions ourselves"
‘A living tomb’. It’s not uncommon this is what bystanders call Clarisse, warning others not to shake her hand. It’s something so many of her seropositive ‘sisters and brothers’ experience. Especially the sisters. Because women in Kinshasa, like elsewhere in the world, are disproportionally infected and affected by the epidemic. Clarisse helps them to fight back. “We support people who are infected to be open, to stop hiding. We help them to take health into their own hands and to live positively”, she explains. What Clarisse did, with support of MSF and RNOAC (the Congolese network of self-help groups of people living with HIV) was as simple as it was brilliant: turning patients into caregivers and bringing key elements of the response – like testing and drug distribution – as close to the homes of the affected persons as possible. Kinshasa now counts 8 community centers where this is being done. Cordaid, through the Global Fund, supports 3 of them. Clarisse is the supervisor of one of these so-called postes de distribution. One of them lies near the Congo river, in a muddy – and often flooded – narrow street of Barumbu, on the city’s northern outskirts. This is where we meet Clarisse and her team of volunteers. The center’s name, on the façade of a somewhat rickety two-floor house, barely survived 7 years of DRC weather. ARV drugs is what keep Clarisse, her staff and the people they receive alive. 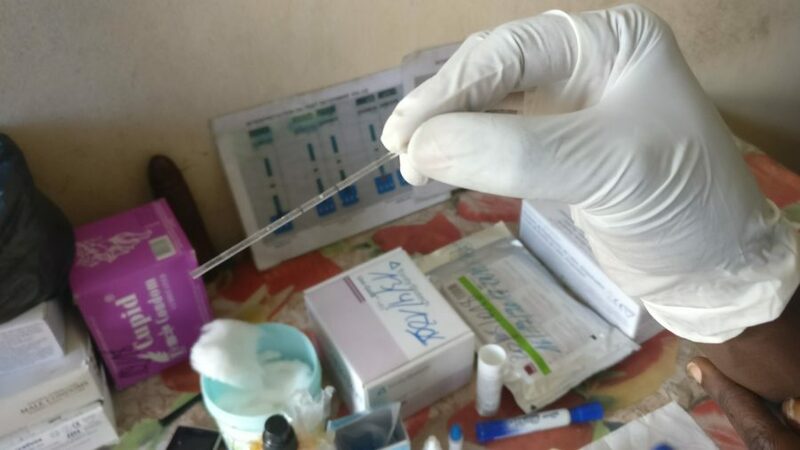 These days, with the Global Fund support and the thorough, nationwide HIV and TB program Cordaid implements – supplying over 3500 health centers with ARVs, the risk of running out of drugs is minimal. It used to be different. 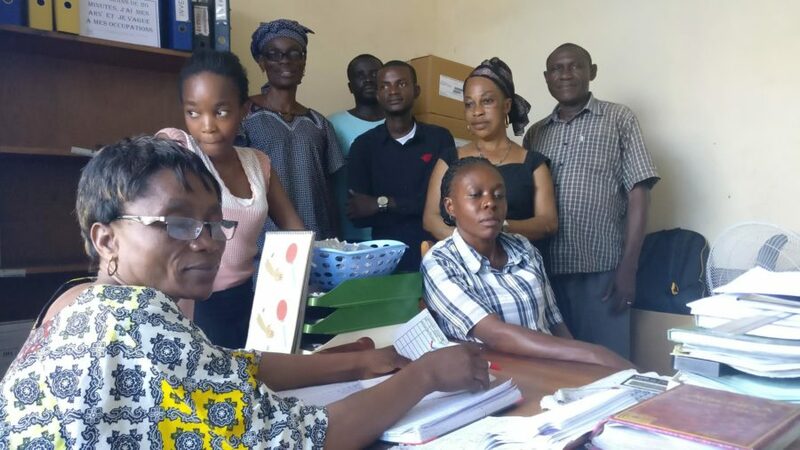 Last month some 40 people asked to be tested by Clarisse’s team. 7 were positive. On average 19% of the people test in the ‘poste de distribution’ turn out to be HIV+. Which is a lot more than the average of 2 to 5% in the medical health centers. “This is because we operate nearer to the most vulnerable groups and because in our communities people are less afraid of being tested”, Clarisse explains. The small poste de distribution in one of Barumbu’s mud streets is more than a center. It’s literally a safe haven. “We sometimes offer a place to sleep to women who have been chased out of their homes because of the disease. They sleep here, in one of these rooms, until they find a more permanent solution”, Clarisse says. Clarisse and her team are no doctors and no nurses. They are patients and trained paramedics. They distribute drugs. They screen and test. But most of all they are survivors who infuse other patients with the will and the power to live. They serve as an example. They are HIV-positive. They were chased away by their husbands, families or friends, accused as witches, robbed of their income, their health and nearly their lives. Yet they fought back and now help hundreds of others to rise, to take responsibility for their own health and to be stronger than stigma. 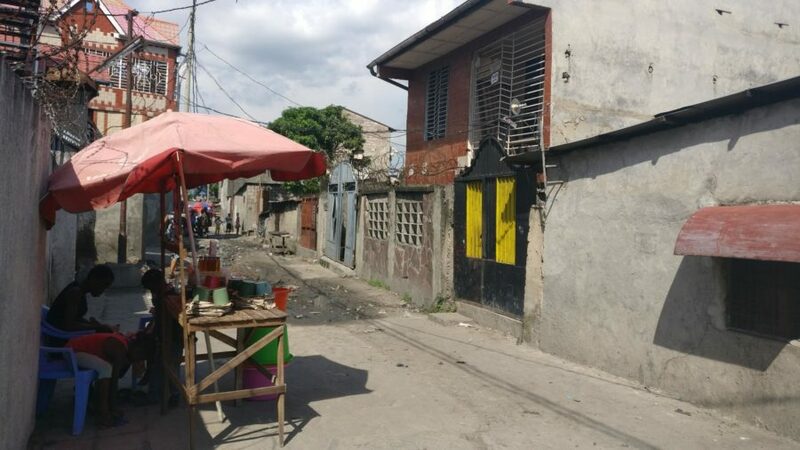 All costs of the ‘postes de distribution’ of Barumbu and 2 others in Kinshasa – rent, drugs, tests, staff premiums – are covered by the Global Fund program in DRC, implemented by Cordaid and partners. This program provides drugs and other forms of support to 3540 health facilities in DR Congo.